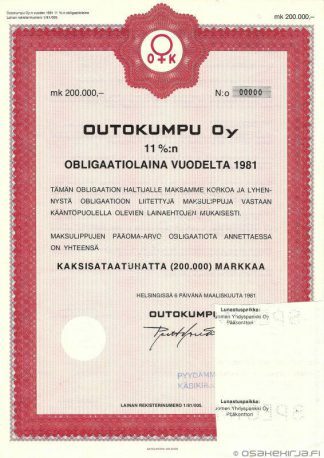 Outokumpu Ltd was established in 1932. Before that it had operated as a state-owned mill. For several decades Outokumpu was known mainly as a mining and metallurgical company. However, many large scale business transactions were made in the 1990’s and the 2000’s, and current Outokumpu looks like other company. At the moment Outokumpu has focused to stainless steel, and it’s now one of the largest ones in the world in that business. Look at Wikipedia article to read more about Outokumpu’s recent twists. 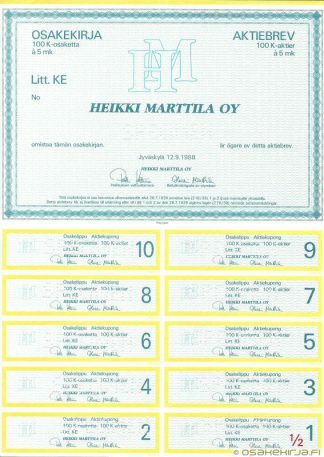 The share of Outokumpu has been listed in the Helsinki Stock Exchange since 1988. In the 1990’s the share was traded also in London. Nature of business: Mining, stainless steel. 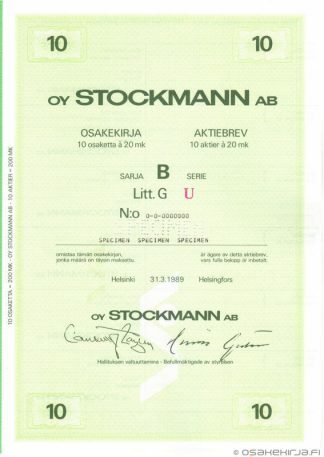 The vignette of the share certificates represents a miner. Though, to date the mining business of Outokumpu is mostly sold.